Mr. Taylor was capable of performances full of stillness. He could also go on full attack. 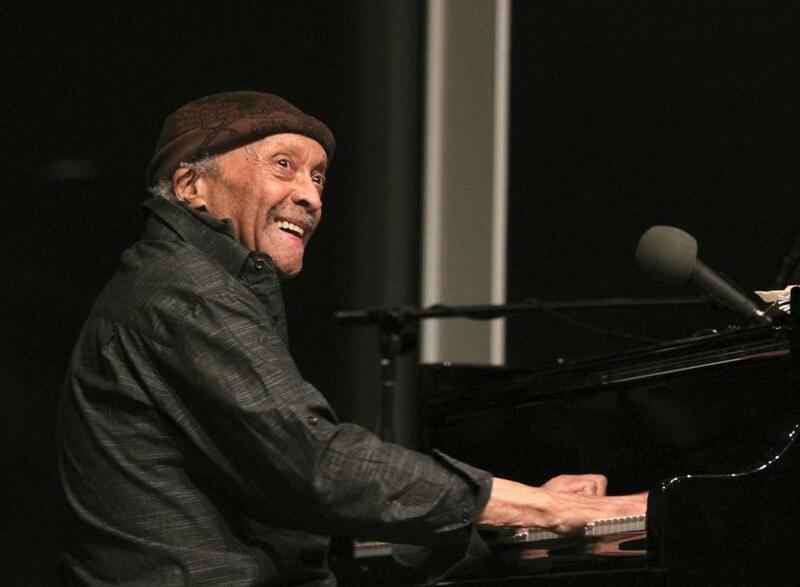 NEW YORK — Cecil Taylor, a pianist who challenged the jazz tradition that produced him and became one of the most bracing, rhapsodic, abstract, and original improvisers of his time, died on Thursday at his home in Brooklyn. He was 89. His death was confirmed by his legal guardian, Adam C. Wilner. No cause was given, but friends said he had been in failing health for some time. Mr. Taylor wrote music, led bands, and for decades worked, as many jazz musicians do, in nightclubs and at festivals. But from early on he seemed to have much greater goals. He was a supreme example of an uncompromising artist, arguing against reductive definitions of what a musician of his training and background could or should do. For Mr. Taylor, a small and vigorous man who in his prime wore athletic clothing onstage, albums weren’t merely recording sessions and performances weren’t merely gigs. But in concert he also recited his own poems, whose enjambed lines might describe Aztec architecture, paleoanthropology, crocodile reproduction, or a woman’s posture. His motions around the instrument and the bandstand were a part of his performance too. In his system of writing music, working with bands, and performing, he was concerned with what he called, in a 1971 interview with writer Robert Levin, “black methodology”: oral traditions, music as embodied celebration and spiritual homage. Because his fully formed work was not folkish or pop-oriented, did not swing consistently (often it did not swing at all), and never entered the consensual jazz repertoire, Mr. Taylor could be understood to occupy an isolated place. Even after he was rewarded and lionized — he was given a Guggenheim fellowship in 1973, a National Endowment for the Arts Jazz Masters award in 1990, a MacArthur fellowship in 1991 and the Kyoto Prize in 2014 — his music was not easy to quantify. If improvisation means using intuition and risk in the present moment, there have been few musicians who took that challenge more seriously than Taylor. If one of his phrases seemed of paramount importance, another such phrase generally arrived right behind it. The range of expression in his keyboard touch encompassed caresses, rumbles, and crashes. He was capable of performances full of stillness and awe, suggesting a kind of physical movement through musical phrases, as on the unaccompanied “Pemmican” (from the 1981 live recording “Garden”). Or he could go on full attack, as on “Taht” from the 1984 album “Winged Serpent (Sliding Quadrants)” — his fingers hammering and flying across the keys and breaking through the sound of a polytonal, polyrhythmic, 11-piece band. Some of his greatest musical relationships were with drummers, among them Max Roach, Elvin Jones, Sunny Murray, and Ronald Shannon Jackson. Cecil Percival Taylor was born in Long Island City, Queens, on March 25, 1929, and grew up about 4 miles away, in Corona. The quartet played at the Newport Jazz Festival the next year, a performance released by Verve Records as one side of an album. Mr. Taylor’s music at that time was steadily swinging and fit recognizably within the modern jazz idiom, but it was also already moving beyond it. “Tune 2,” for example, from the Newport record, had an 88-bar form, a long way from the 32-bar song structure more commonly used in jazz. He went further in that direction on the 1958 record “Looking Ahead!,” then recorded a session, originally issued as “Hard Driving Jazz,” with an ad hoc group, put together by Wilson, that included John Coltrane. By 1961, given the chance to contribute half the music on an album under the arranger Gil Evans’ name (the other half showcased composer Johnny Carisi), Mr. Taylor played only original music: striking pieces with shifting tempos and splintering melodic lines. The next year he formed a bond with alto saxophonist Jimmy Lyons, who would work with him for more than 20 years; the two were the core of the Cecil Taylor Unit, a group with an otherwise shifting membership. By 1966, when he recorded the album “Unit Structures” for Blue Note, Mr. Taylor was forming a syntax where none had existed. He was using blues tonality and dissonance in his improvisations and original structures in his written music, organized in ways that were not traditional for jazz. Not until the mid-1970s, Lyons told writer John Litweiler, did the Cecil Taylor Unit have enough work that the musicians could make a living from it — mostly in Europe.